Note: This is the second post of a three-part series about Simple Goodness on the Farm, which is part of Land O'Lakes Kitchen Conversations. The first post is here and the third post is here. I also wrote a brief post about the event for the Land O'Lakes blog – you can read it here. As I started to explain in my last post, June 10th was a very big day for our farm. Part of Land O'Lakes' Simple Goodness on the Farm event was held here at our farm. Our special guests for the day were food bloggers: Ree from The Pioneer Woman, Becky from Land O'Lakes Test Kitchen, Sommer from A Spicy Perspective, Maria from Two Peas and Their Pod, Brenda from A Farmgirl's Dabbles, Julie from The Little Kitchen, Brenda from Bake at 350, Jessica from The Novice Chef, Joanne from Fifteen Spatulas and Jenny from Picky Palate. We started their visit to our farm with introductions, a brief overview of our farm and an explanation of how we got started farming. 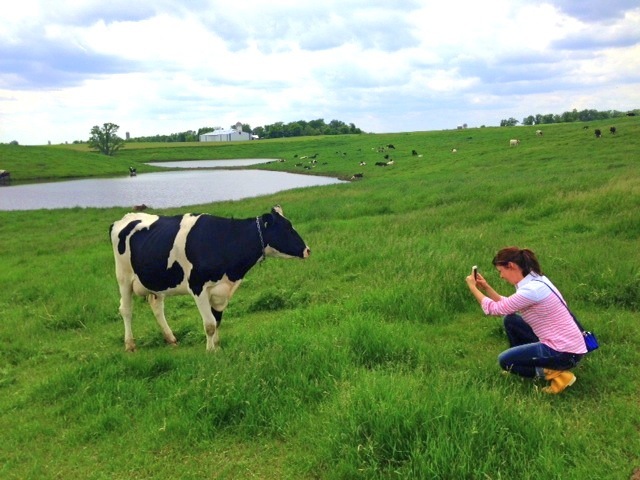 I explained that our farm is just one type of dairy farm. 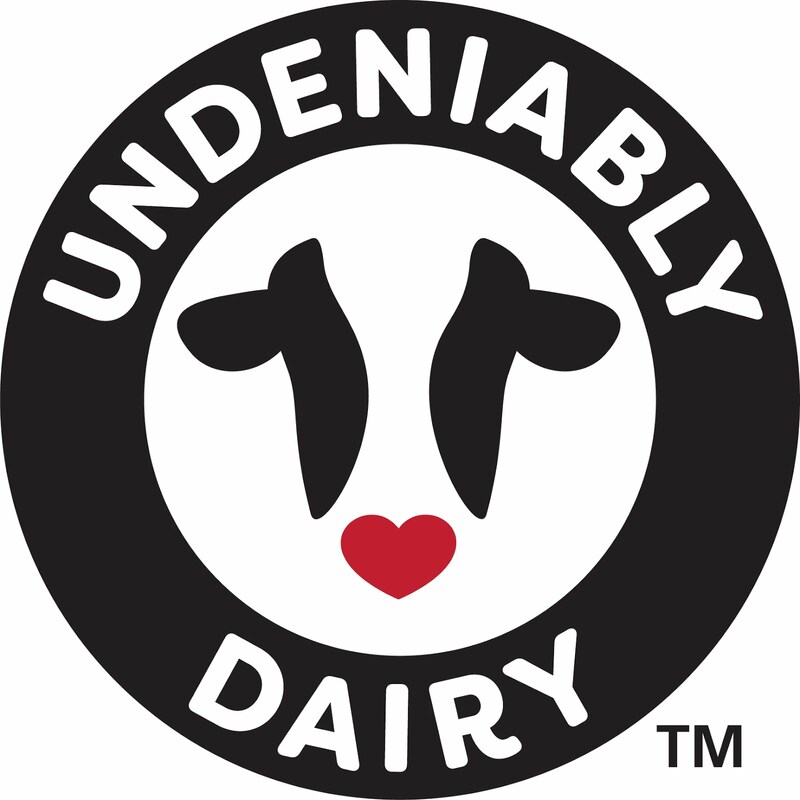 There are as many different types of dairy farms as there are ways to make chocolate chip cookies. 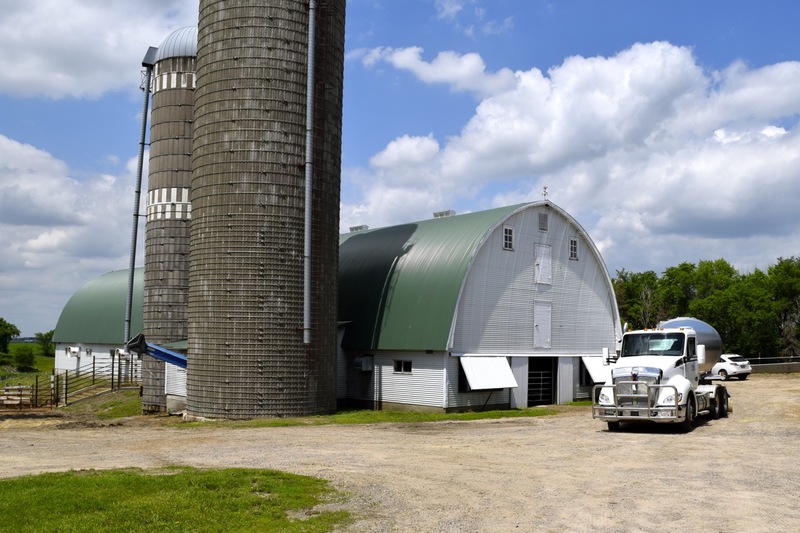 Just as every baker has their own recipe and technique for making cookies, every dairy farm has a unique combination of methods for feeding, housing and milking their cows. And just as every baker’s goal is a perfect cookie, dairy farmers share common goals: to produce high quality milk, provide a comfortable life for our cows, protect our natural resources, and generate enough profit to allow us to continue to do what we love. 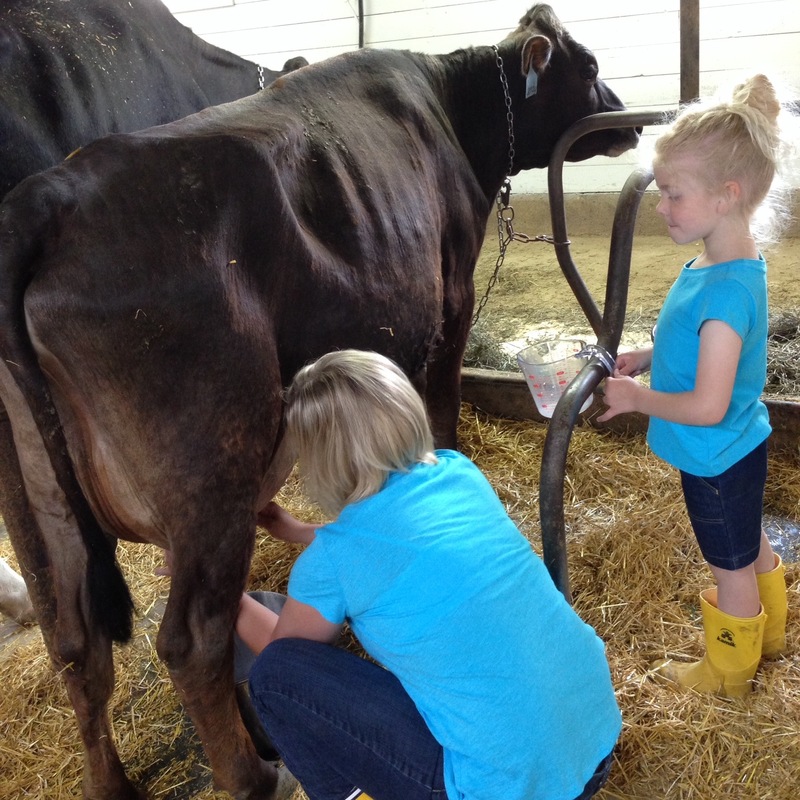 I also explained another commonality of dairy farms: 98% of all dairy farms are family owned and operated. Some farms have one small family, like ours, and some farms have multiple generations of a family working together in partnership. 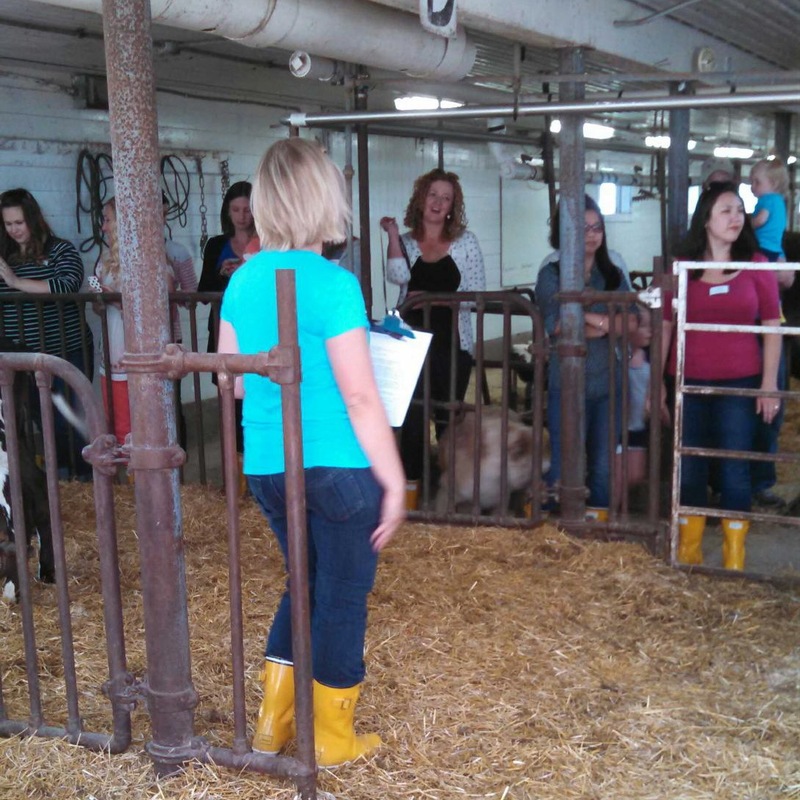 After the overview, we gave everyone a tour of our dairy barn. We explained how the equipment in our milk house cools the milk and keeps our milking system clean. We showed them how we raise our calves using an automatic calf feeder. And we displayed some of the feeds our cows eat in addition to pasture grass – corn silage, haylage, fine ground corn, and a supplemental protein/mineral mix. 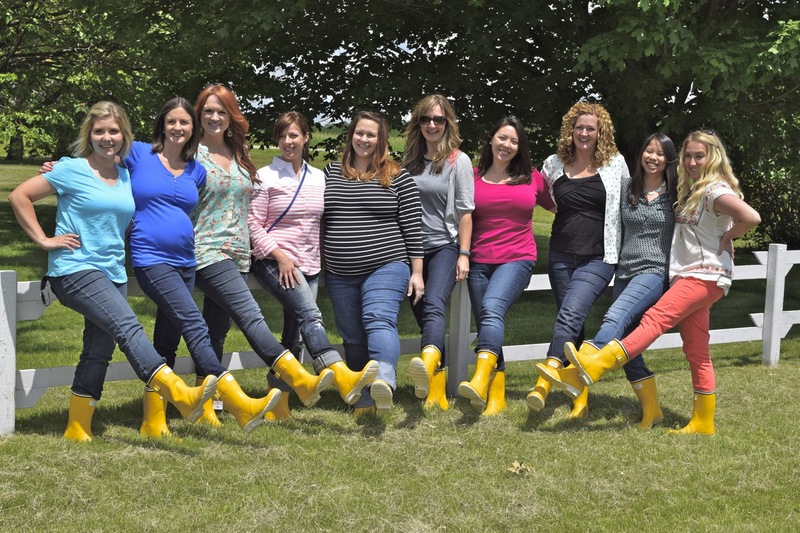 We wanted our guests to learn more about dairy farming and have fun at the same time, so we organized a hand milking contest and then helped each blogger milk a cow the modern way. 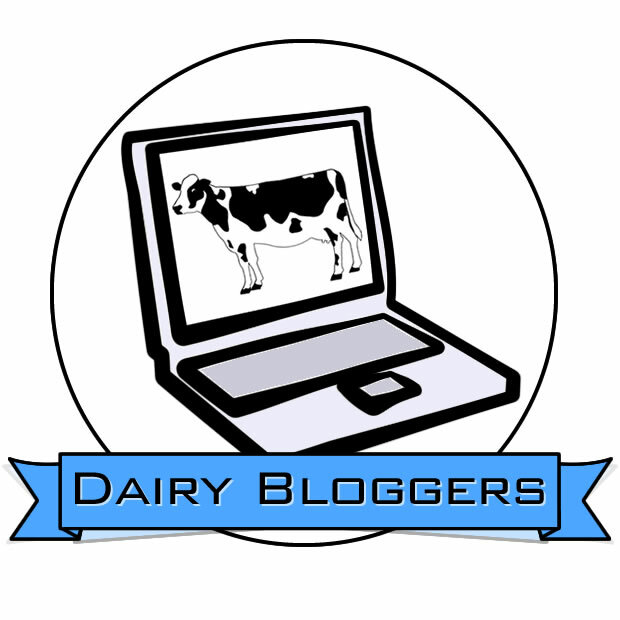 For the milking contest, each blogger picked one of the 11 cows we kept in the barn that morning. After we gave them some very brief instructions on how to strip milk from a cow, each blogger had one minute to get as much milk into the bucket as she could. 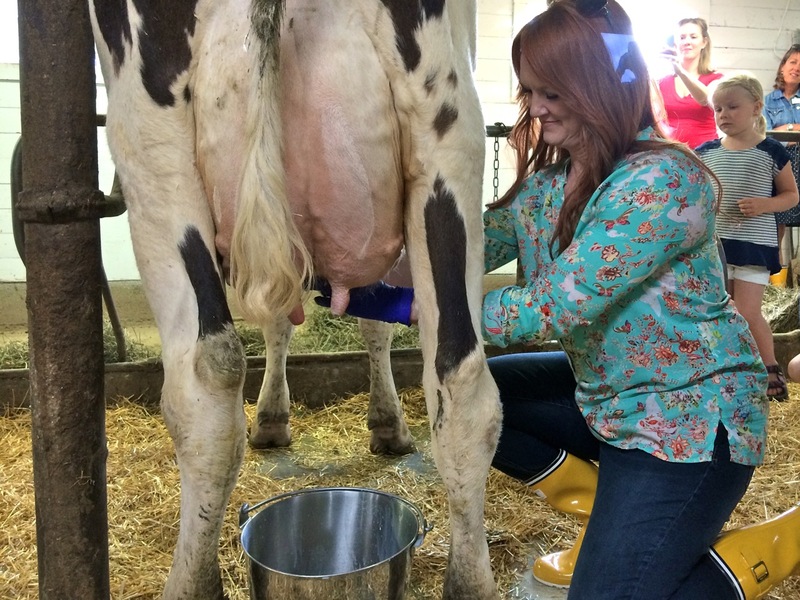 Ree won the hand milking contest, but all of the bloggers did a great job. The contest would have gone better if we had given the cows a little more time to let their milk down, but hindsight is always 20/20. Plus, we had milked the contest cows extra early that morning so their udders would have some milk in them, but not be overly full by the time the contest started. When the milking contest was over, we dipped each cow with iodine. Then the bloggers wiped the iodine off their cows with paper towels and attached the milking units to finish the milking. Looking back, the contest and milking demonstration could have been organized a little better – it was a bit chaotic at times – but it looked like everyone had fun. Jessica picked Sandy, but since Jessica is expecting twins soon, she didn't feel comfortable crouching down next to a cow for that long, so I milked Sandy for her. As we were finishing up the cow milking demonstration, the milk truck drove in to load up our milk. 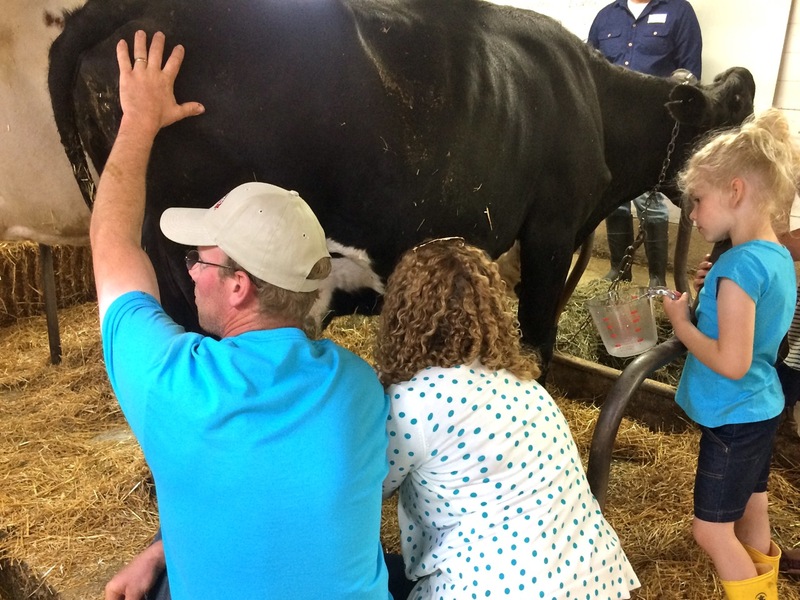 It was pretty neat that everyone got to see what happens to the milk on our farm, from start to finish – from milking the cow to the milk driving down the road to the plant where it will be processed. 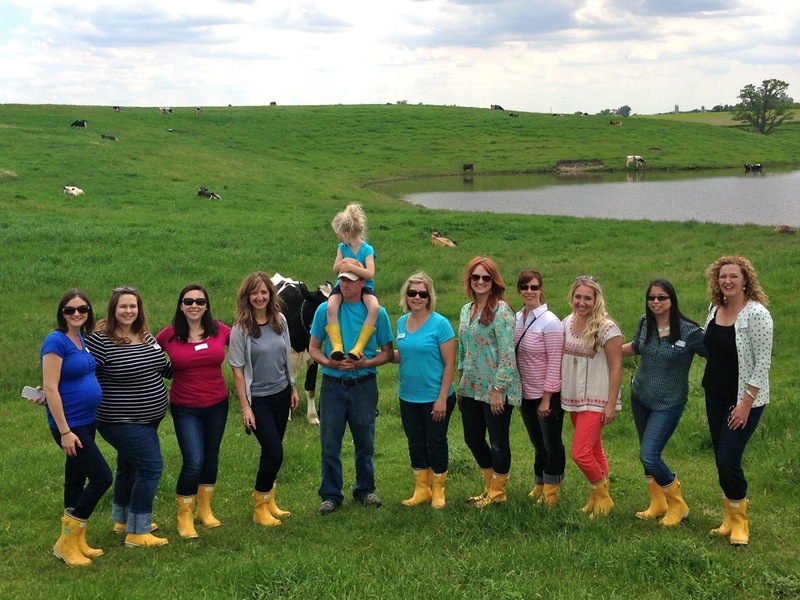 After a quick picnic lunch, which featured some of the bloggers' dessert recipes, we took a stroll out to the pasture to see the rest of the cows. If our time in the barn was a little bit crazy and chaotic, the peacefulness of the pasture helped make up for it. I think all of our visitors got a sense of the serenity I feel when I'm out in the pasture with the cows. ...and take another group photo. And, then, Helen stole the show. Helen, one of our cows, came wandering over, I suppose to see what all the commotion was about. 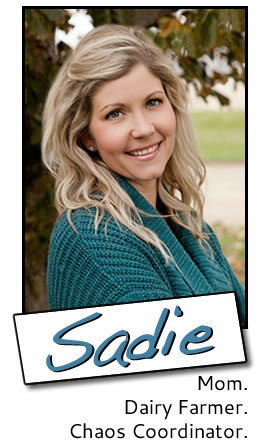 She quickly became the center of attention – and I think she knew it, too. She posed this way and that while the shutters snapped. Then Ree sat down and started making calf sounds. Helen walked right over, I'm sure wondering why on earth this human sounded like a calf. Ree snapped a close up, too. After checking Ree out for awhile, Helen moseyed over to Maria. She sniffed her boots. And then gave her pregnant belly a great big smooch. 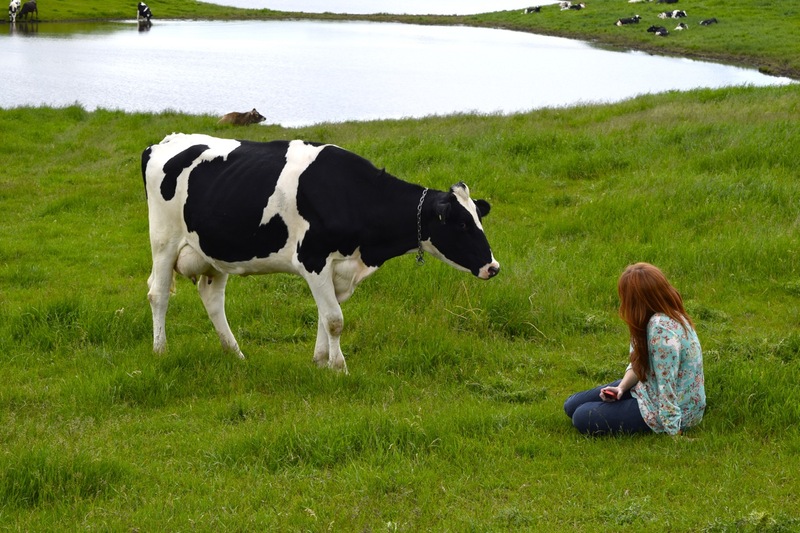 If I've ever questioned a cow's behavior, it was at that moment. It was the sweetest gesture; but for the life of me, I can't imagine what prompted Helen to do it. 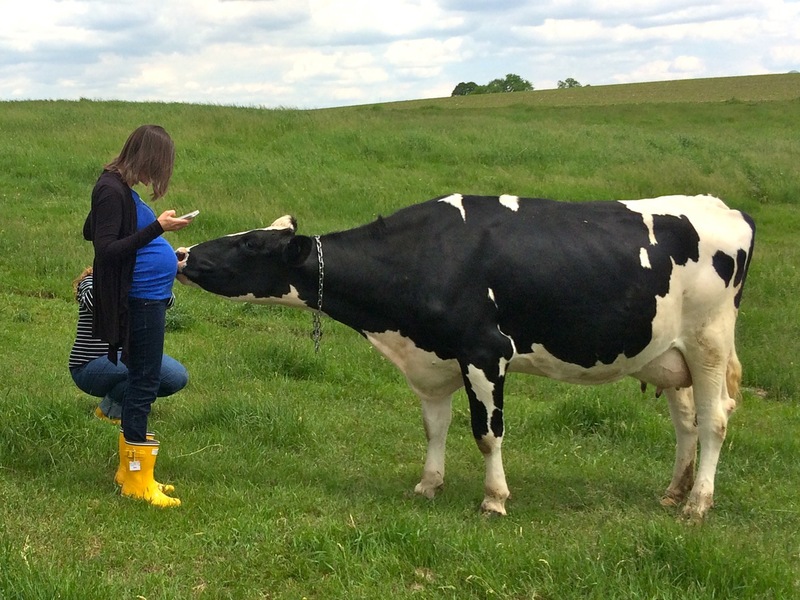 Plus, Helen is one of our more persnickety cows – not one that I would expect to come over and greet visitors. Everyone else was amazed, too. 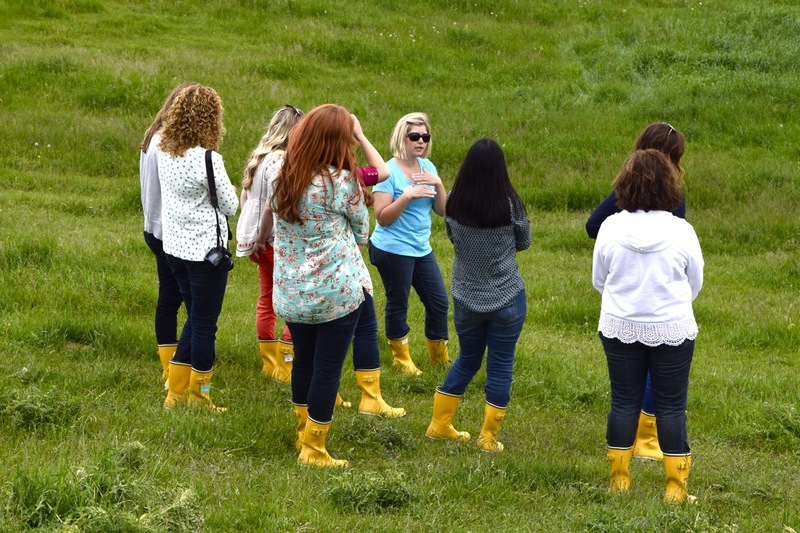 When the tour of our farm was over, I hopped on the bus with the bloggers for the trip back to the Twin Cities so I could participate in Day 2 of the Simple Goodness on the Farm event. 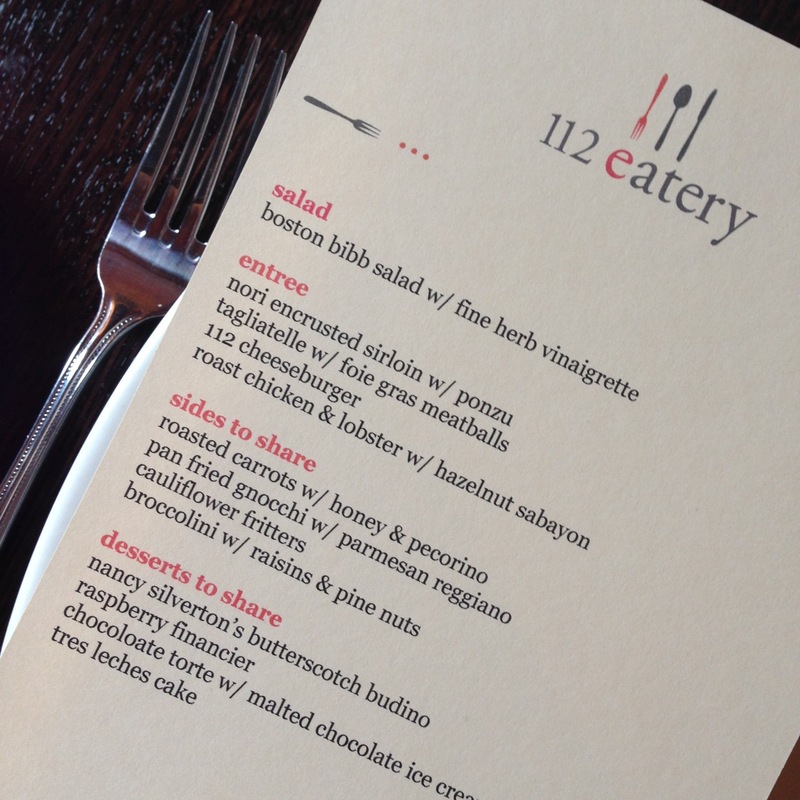 After resting a little at the hotel, we enjoyed a fabulous dinner at the 112 Eatery in Minneapolis. The cuisine was just as good as the conversation. Thanks to Stacey and Brenda for these photos. Glen and I have a rule about eating out: don't order something we can make at home. Almost everything on our menu met the criteria of something I haven't yet made or wouldn't usually make at home. I nestled into my bed at the hotel with a very full tummy and a very big smile. 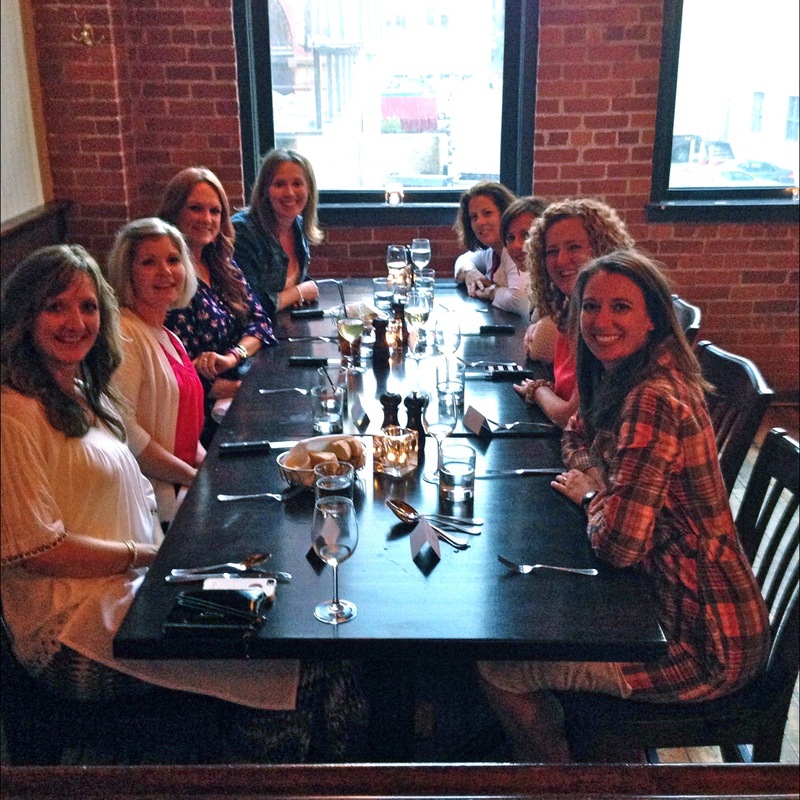 It was so much fun to meet all of the bloggers, show them our farm and enjoy dinner together. I am a Land O'Lakes Cooperative member-owner. I received compensation from Land O'Lakes for writing about this event. All opinions are my own. What a fun day! Looks like you and the ladies all had a wonderful time.